We sell the best and most creative food and gastronomy related art. We offer creativity, interior design and art related solutions for many business.  Worldwide Shipping Worldwide Service!